Two Striper® diamond dental burs are manufactured using Abrasive Technology's innovative P.B.S.® bonding system for uniform distribution and high concentration of diamond crystals; permitting faster cutting, longer life and smoother grinding performance. Two Striper® burs include a variety of FG and RA attachments, the TS2000™, Shortcut™ , TSZtech™ and HP dental laboratory burs. 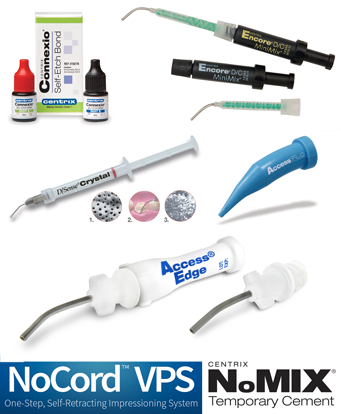 Abrasive Technology offers a selection of fiber reinforced resin posts for dental restorations. Carbopost®, Snowpost® and Snowlight® posts offer high elasticity modulus and tensile strength; and are available in anatomical forms in five different shapes. All posts are factory silanated. Abrasive Technology's Stainbuster® is designed to gently remove surface and interproximal stains from teeth, including the removal of cement and minor calculus deposits. Made from resin reinforced by zirconia-rich glass fibers, Stainbuster® will not harm tooth enamel, ceramic or soft tissue. Stainbuster® is ideal for use in general dentistry, hygiene, orthodontics, periodontics and implantology. Serving the dental industry for more than 40 years, Accutron Inc. is a leading manufacturer of advanced conscious sedation equipment and accessories. With the industry's widest range of Handpieces, Lab Products, Lab Instruments, Vacuum forming, dental, medical, hospital and laboratory facilities worldwide choose Buffalo to protect their staff and patients alike. While Buffalo is proud to serve the global healthcare community, a majority of our products are manufactured in the United States, bringing you quality and value that are close to home. All of our products meet the world's highest standards and are available at some of the industry's most affordable prices. Over the years Centrix continued to grow by expanding its product line and continuing to improve upon existing concepts. Many products have been introduced and many have since been discarded. However, products such as the all plastic Mark II™ syringe, standard tubes, Mark III™ Plastic syringe, and the PCR tubes remain as proven dependable products. 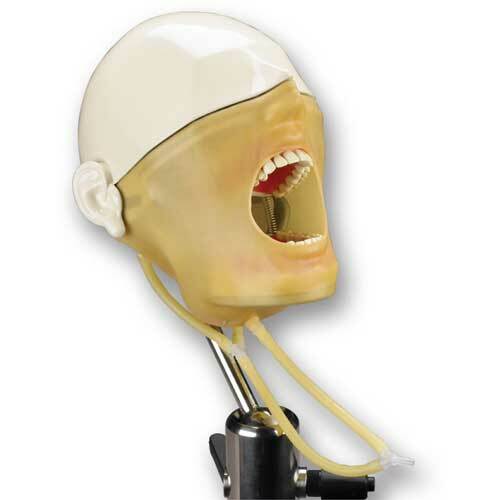 For over eight decades, Columbia Dentoform® has been a leading Innovator in providing patient simulation products for dental education. Thousands of students in dental colleges throughout the world have "cut their first teeth" on Ivorine™ Dentoform® models. 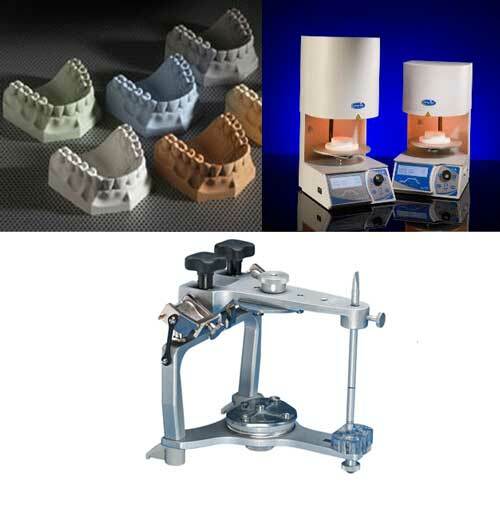 From individual replacement teeth to officially approved exam models to veterinary models, Columbia Dentoform® offers everything today's dental student needs to complete just about any and every course. 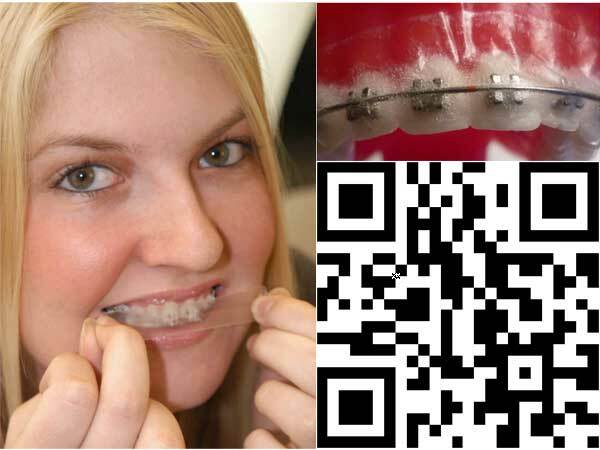 Imagine a thin smooth protective strip developed with superior adhesion that will allow dental brace wearers to sleep, eat and drink while enjoying 24 hour maximum protection from harsh brackets and wires. 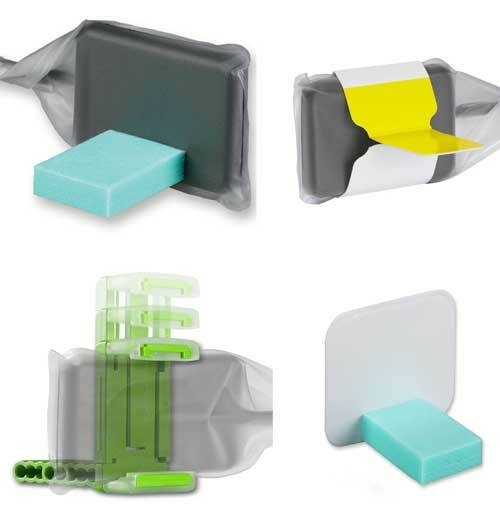 Sure-check Pouches Sure-Check® Sterilization Pouches feature internal/external multi-variable CLASS 4 indicator technology that confi ms all 3 criteria for sterilization! For CDC compliance, today more than ever, you need to be sure about sterilization - you need Sure-Check! Comfort Plus Saliva Ejectors Unlike traditional saliva ejectors that can lock onto tissue and traumatize patients, Comfort Plus is engineered with longer rounded edges, smooth surfaces and perfectly placed side suction ports that help to enhance patient comfort while protecting delicate mucosal tissue. Comfort Plus Premium Saliva Ejectors are latex-free and are made in the U.S.A. Facemasks with SecureFit Technology A recent study published in The American Journal of Infection Control found that a custom-fitting face mask provides up to 100-fold greater reduction in exposure to potentially infectious particulates than a loose-fitting mask! * The patent-pending design of SecureFit® masks includes aluminum nose and chin pieces that significantly reduce gapping at the top, sides and bottom of the mask. Conforms to any size or shape face! Even helps protect sensor wire! Easy-to-open; no tugging sensor wire! It is through the commitment to innovation and consistent high quality standards that Gingi-Pak is the worldwide recognized brand for retraction cords. 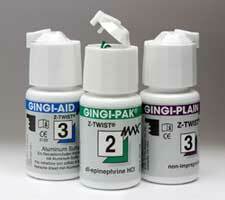 Gingicaine® has more patient-friendly and great-tasting flavors then any other manufacturer. Quick onset: 15 - 20 seconds. Flavors: cherry, piña colada, banana, chocolate mint, cotton candy, mint julep, strawberry. 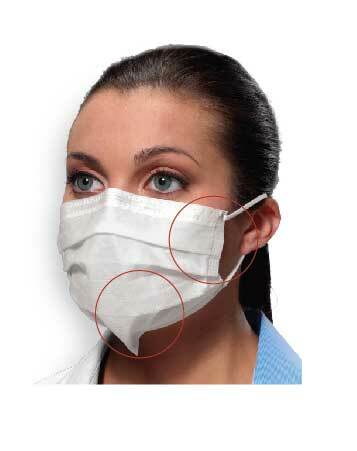 Color-Changing Alginate Impression Material: Color-changing and dust-free. 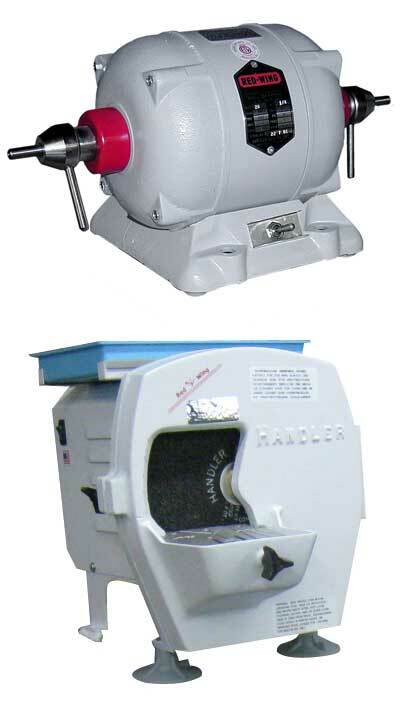 Easy to use, thus eliminating the remake of appliances. Minimum body flow and short duration in the mouth offers maximum patient comfort. 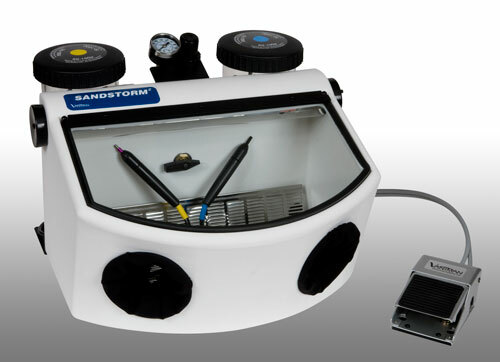 Impression sweating is eliminated, resulting in an exact detailed impression. Model may be poured within 100 hours, if impression is kept moist. Meets American Dental Association spec. 18 and ISO 1563. 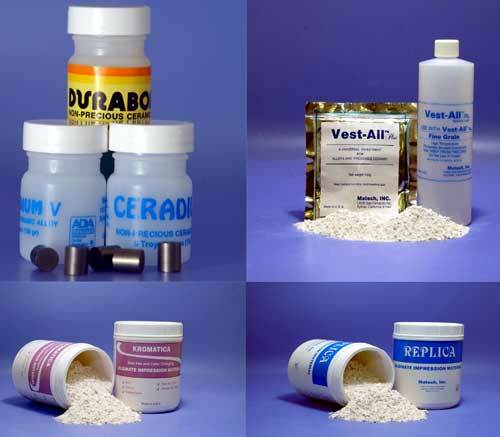 Made in the U.S.A.
Alginate Impression Material: Simple and easy to prepare. 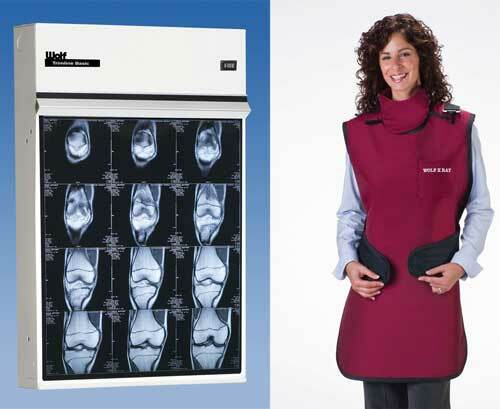 Minimum body flow offers maximum patient comfort with no gagging. 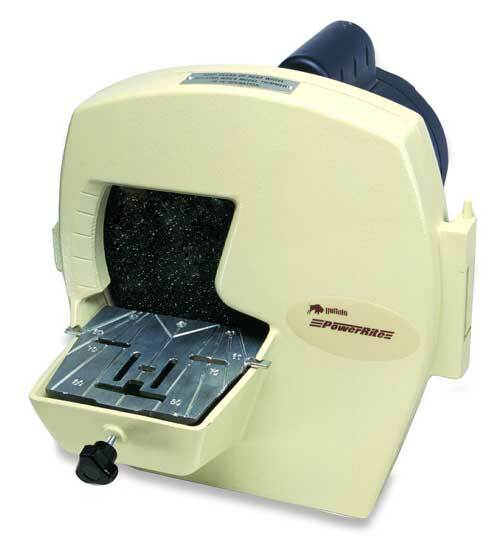 Impression sweating is eliminated, resulting in an exact detailed impression. Dustless Formula available. Made in the U.S.A.
Water Mix Partial Denture Investment for Chrome Cobalt Alloys : After bench set, you can fast fire burnout at 1800°F (982°C). Easy to break out casting. Produces smooth strong models. No special liquid required for controlled expansion. 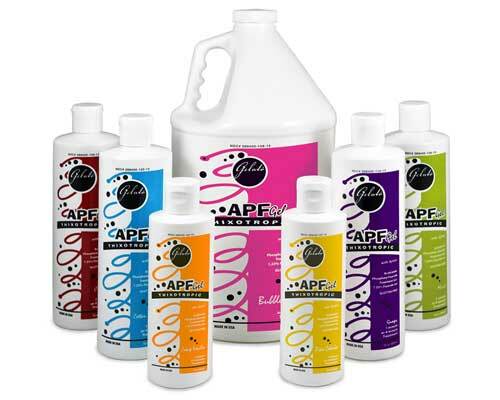 Consists of premium phosphate-bonded fine-grain powders that provides a cleaner casting. 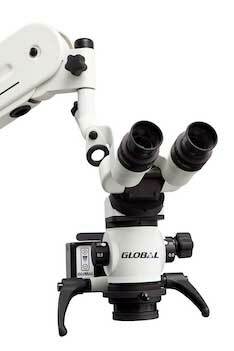 Designed and formulated by a manufacturer with many years of investment experience. Made in the U.S.A.
Universal Investment: A new generation of universal investment for casting crown and bridge alloys and pressable ceramic. Forgiving, accurate, and easy to devest. High strength and high heat that can be used for conventional burnout and fast fire burnout. Perfect for ring and ringless systems. Made in the U.S.A.
Non-Precious Ceramic Alloy: Non-Precious alloy that handles, polishes and finishes like gold. Controlled oxidation promotes a strong bond with all major porcelains. Excellent etching characteristics and cementation in the mouth. Breaks clean from the investment and maintains marginal integrity. Ceradium V is specially formulated for Vita and other porcelains with low thermal expansion. Made in the U.S.A.
Non-Precious Ceramic Alloy: A beryllium-free alloy that is easy to melt, even by torch. Easy to cast, breaks away clean from investments, and maintains marginal integrity of the casting. 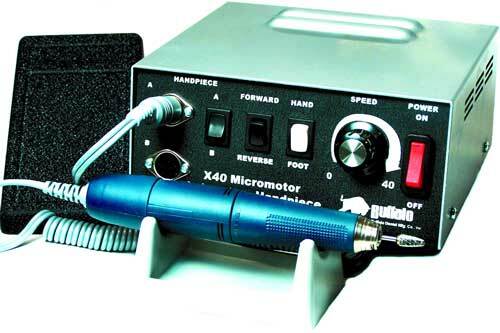 Easy to Solder. Handles, Polishes, and finishes like precious ceramic alloy. Has a controlled CTE for new porcelains to be "pressed to Durabond". Made in the U.S.A.
Microcopy is a leader in innovation for the dental industry. Designed to the highest standards, our products have received awards for outstanding performance all at an affordable price. We develop quality products such as NeoDiamond, (America's #1 selling diamond bur), NeoBurr (award winning carbides), NeoDrys, (ultimate parotid saliva control), and Film and Sensor Flaps, (comfortable bite tabs), all ISO and CE marked. Microcopy's products have received awards for outstanding performance all at an affordable price. We develop quality products such as NeoDiamond®, (America's #1 selling diamond bur), NeoBurr® (award winning carbides), NeoDrys®, (ultimate parotid saliva control), and Flaps®, (cushioned bite tabs). 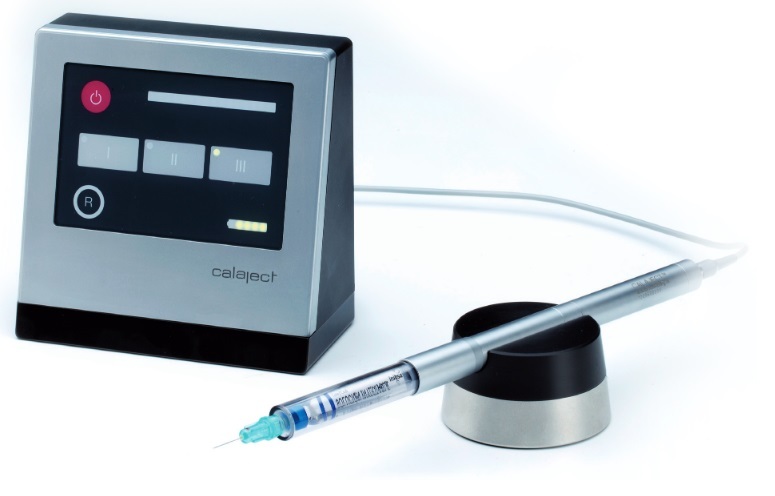 Introducing ImplaMate™ "The Ultimate in Implant Scaler Technology!" Until now clinicians have relied on a limited selection of instruments with thick plastic tips to clean implants. This is because regular scaler tips made of metals that are dissimilar to titanium (like stainless steel) could scratch the implant and possibly cause rejection. Our new series of ImplaMate scalers work safely with implants because they are made with the same material...solid titanium. Even better, ImplaMate scalers are available in a wide range of familiar patterns that are easy to adapt with no "learning curve". Produced in our DuraLite® ColorRings™ handle, ImplaMate Implant Scalers will also enable your practice to identify and organize implant hygiene set-ups. Oral Health Products, Inc. has been family owned and operated for over 50 years, manufacturing the POH brand of toothbrushes and dental floss in Tulsa, Oklahoma. Our line of products include specialty manual toothbrushes and nylon multifilament dental floss in Classic white and Percept® black dental floss, which is a great visual aid for teaching personal oral hygiene. 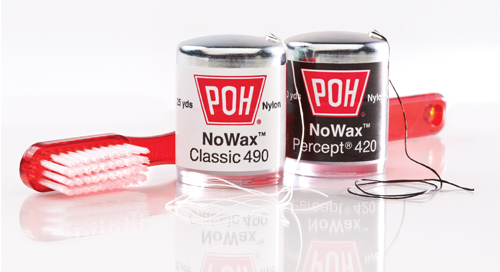 You may review our product line at www.BuyPOH.com and order through your local POH dental dealer. Touch screen panel - easy and simple to operate. Display of actual injection pressure - inclusive automatic switch-off in case of excessive resistance in tissue. Acoustic signal indicating actual flow rate. 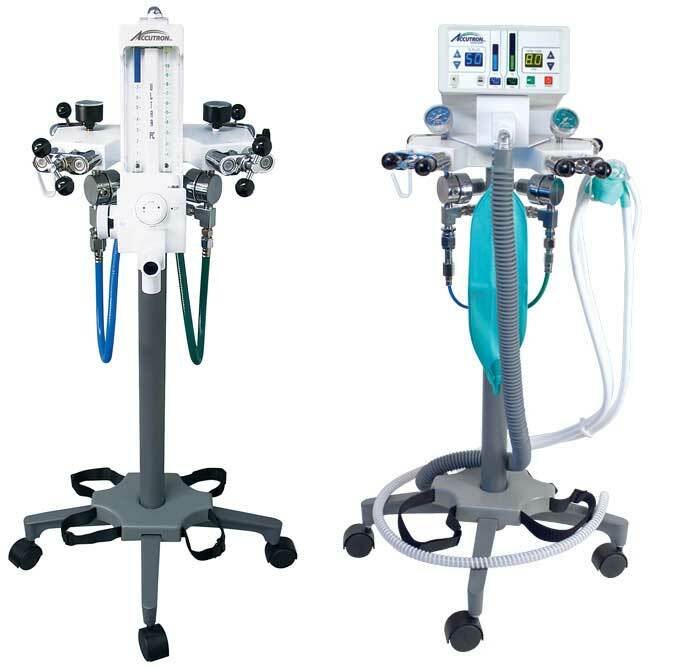 Operated by a remote foot controller or the mounted controller on your dental unit. Vibration free and tactile hand piece. Visual contact with the cartridge during the entire injection. Automatic aspiration when pressure on the foot control is eased. Used with standard dental needles and cartridges. Best Power for the Price! With more than 20 years of experience in developing curing light technology, Spring Health Products THE CURE, TC-01, LED light is one the smallest and most powerful corded lights. It is made in the USA and the latest in high-power LED technology providing 1200 mW/cm2 intensity. The LED had 4 diodes and allows for a 6-second cure. The all metal housing is durable, easy to disinfect and virtually unbreakable. The unique, ergonomic shape provides a comfortable grip from any angle. Spring Health Products The CURE 2, TC-CL II Premium cordless light, made in the USA, is the latest in high-power LED technology providing 1200 mW/cm2 intensity. 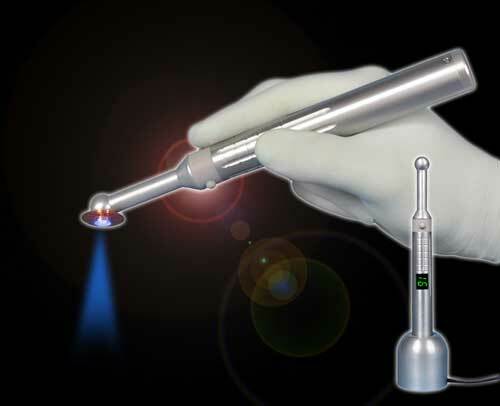 The LED had 4 diodes in the tip to provide multiple - wavelenght output, and allows for a 6-second cure, with a digital readout that can be timed between 2 and 20 seconds. 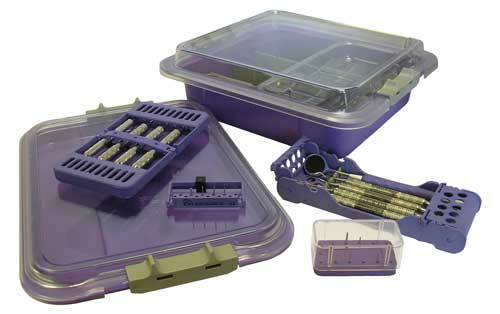 The all metal housing is durable, easy to disinfect and virtually unbreakable. Small and extremely light-weight prevents fatigue. Unique, ergonomic shape provides a comfortable grip from any angle with a grip diameter of only .750." Vista Dental is combining research and innovation to deliver the best solutions in Dentistry. 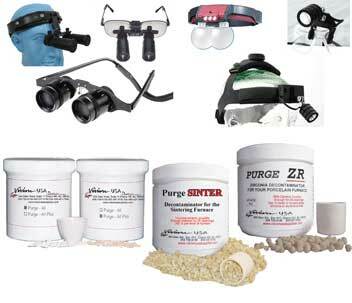 Vista offers a wide selection of general and specialty dental products, equipment and accessories. Our complete line of products set a new standard, offering advanced control and predictability while providing dentists with reliable and affordable products. "Especially in this economy, it is more important than ever for dental practices to add value to their customer service. 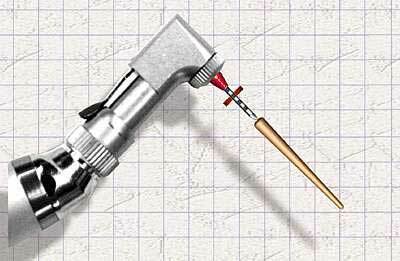 Dispensing Waterpik® Water Flossers is a perfect example of how to do this effectively. They help patients develop and/or maintain good oral care while enabling the practice to boost its profitability." - Roger P. Levin, DDS, Chairman & CEO, Levin Group, Inc. 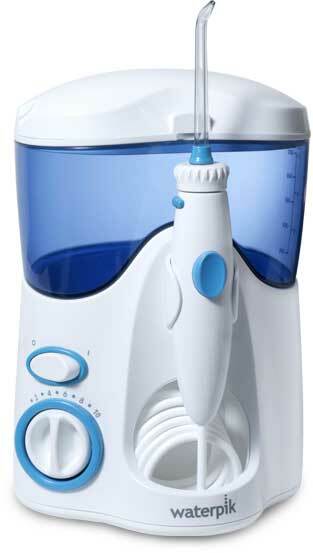 The Office Productivity Benefits of Dispensing Waterpik Water Flossers Improved oral health for your patients. Waterpik® Water Flossers are an easier and more effective alternative to dental floss for those patients who don't like to floss. Improved patient compliance. Patients who receive a water flosser from their dental professional are more likely to comply with treatment instructions and have a positive experience with the product. Increased revenue opportunity. By purchasing Waterpik® Water Flossers at professional courtesy pricing, dental professionals can add income and profit to their practice. In 1994 WHITEsmile was one of the first companies in Europe that specialized in the production of tooth whitening products. Our materials are a result of our own R&D and "Made in Germany". 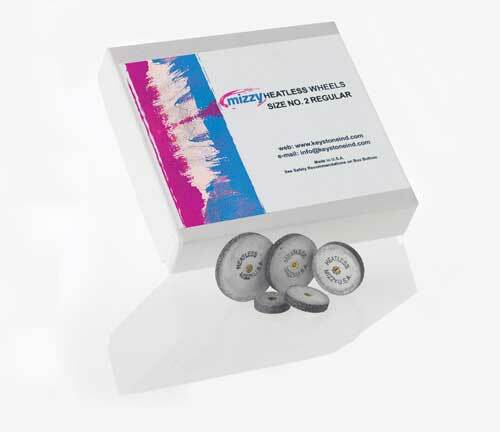 WHITEsmile materials are clinically tested and certified medical devices. WHITEsmile provides the entire spectrum for a professional bleaching offering in a dental clinic: HOME BLEACHING, POWER BLEACHING, LIGHT WHITENING - with the new Whitening Lamp 2. That offers a great choice of different treatment methods. 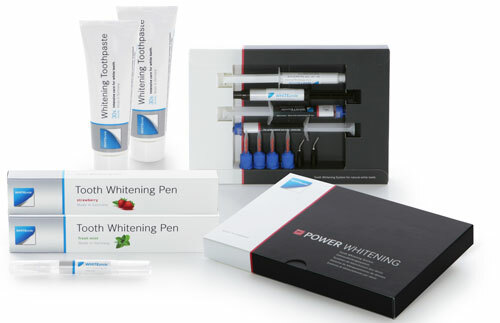 It is our great experience that makes us your competent partner for tooth whitening! 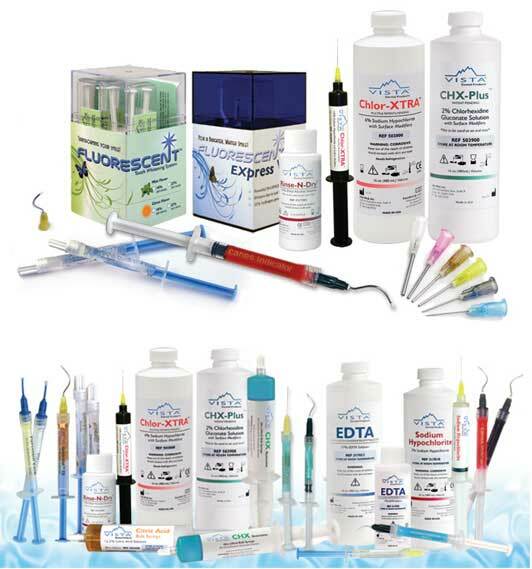 Quality Products with Mircoban used for Sterilization and Organization of Dental Instruments and Materials.